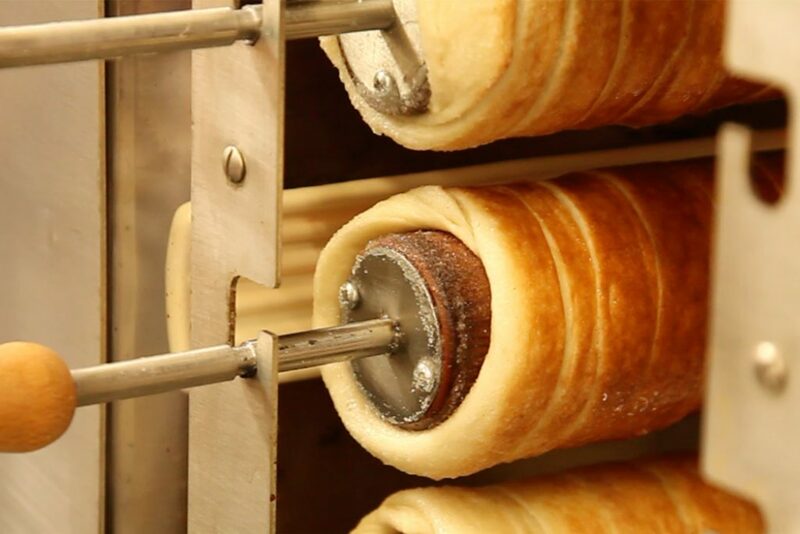 Customers love looking at this labor of love during the on-site production of Kurtoskalacs as delicious fragrances fill their nostrils and they follow the artful steps from dough to warm, soft, crispy Kürtőskalács in a matter of minutes. Hmmm…. Fun to watch and even more fun to eat! 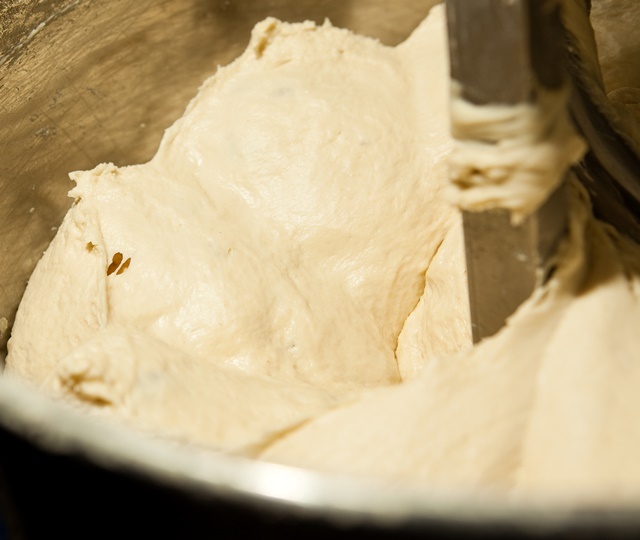 Kurtos Production: First, the dough is prepared in a kneading machine. For the Kurtos production, make sure you use a suitable kneading machine. 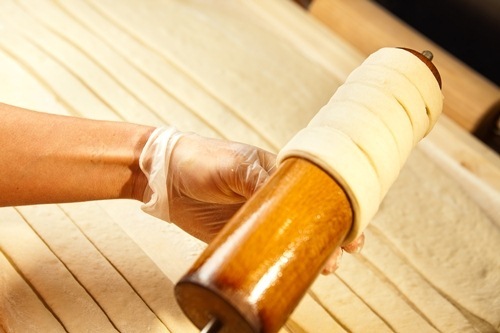 Let the dough rise briefly, roll out and cut into approximately finger-thick strips. 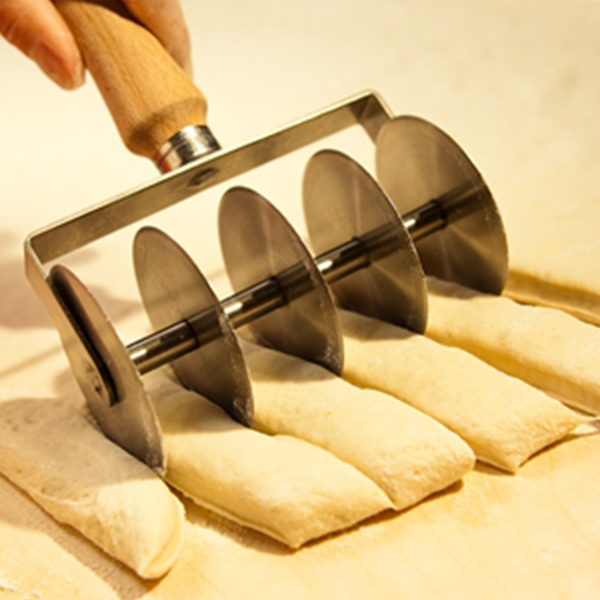 Best with our special dough cutter. Then the dough strips are wound onto a baking roll. Then spread a little oil over the dough with and roll into sugar. Bake for 3 to 5 minutes. Finally, the desired topping comes. 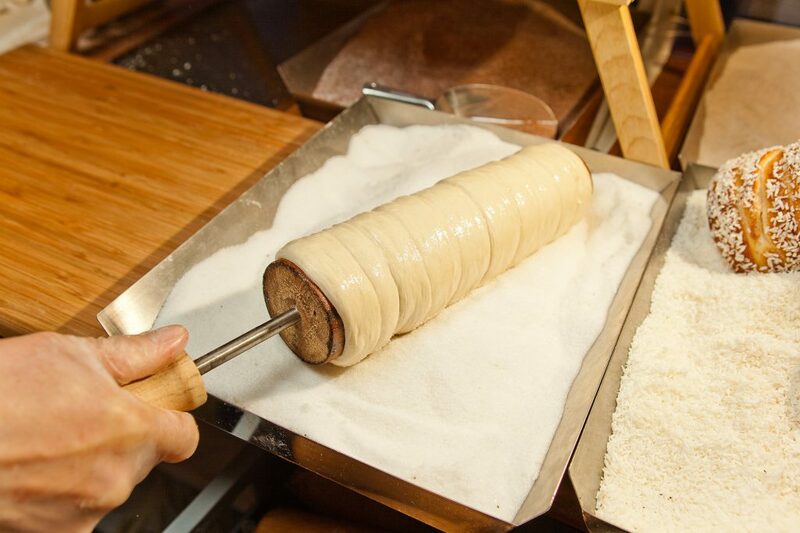 The freshly baked Kürtőskalács (Baumstriezel or Chimney Cake) is again rolled, for example in sugar, sugar and cinnamon, almond slivers, poppy seeds, cocoa, coconut, walnut pieces, whatever delights the palate. The options are only limited to your imagination. … once in their paper bag – they are easy to transport and simply unwind in spiral form. 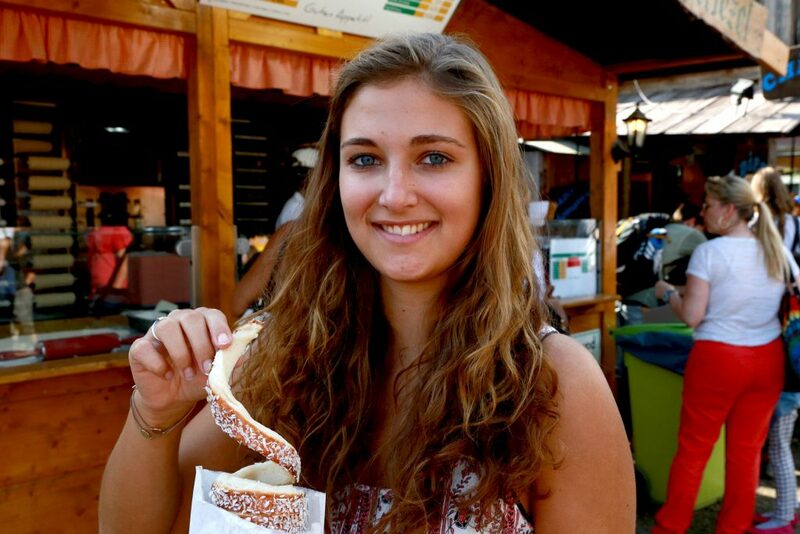 Happy customer has a Kürtőskalács (Baumstriezel or Chimney Cake) in her hand. 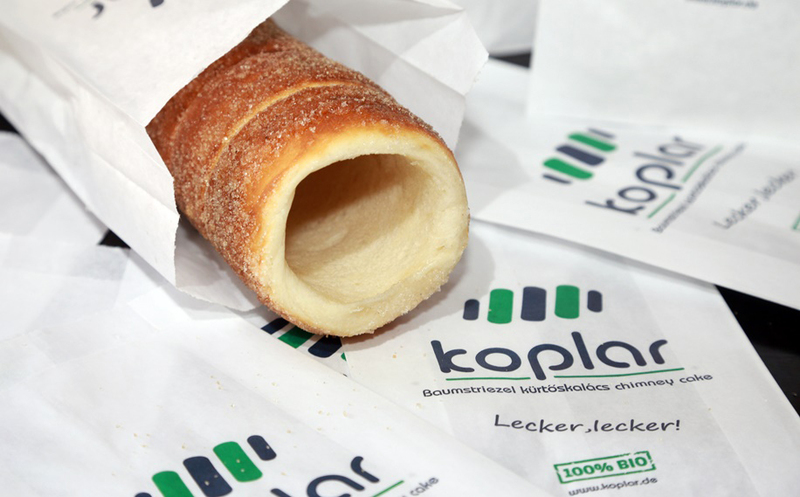 Crispy delicacy to go – without any smudges, without a napkin, without waiting – a stand selling fresh Kürtőskalács stands for pure pleasure! OUR NEW CATALOG IS HERE!